What makes a pre-owned car from Budd’s BMW Oakville different from other used cars for sale in Oakville? At Budds’s BMW Oakville, our dedication to bringing you top quality pre-owned cars combined with unsurpassed customer service gives us a unique advantage in the marketplace. All of our pre-owned cars are meticulously inspected and reconditioned by BMW professional technicians before they can become Budds’ Certified Series vehicles. Call and make an appointment with one of our dedicated associates to test-drive this recently reduced 2013 BMW M5. With its high-tech handling and outstanding performance, this powerful vehicle will make you the envy of your street. This pre-owned automatic vehicle is now priced at only $66,990 with 60,081 km. Metallic silver, with elegant grey extended Merino leather interior and Fineline Anthracite trim, this M5 looks as good as it drives. Technology features include SIRUS satellite radio tuner, smartphone integration, automatic trunk and soft close doors. It comes complete with first-rate safety features such as lane departure warning and active blind spot detection. As a Budds’ Certified Series pre-owned vehicle, it comes with a 3-day / 300 km exchange privilege, 24-hour roadside assistance and affordable leasing and financing options. Call or drop by BMW Oakville today! 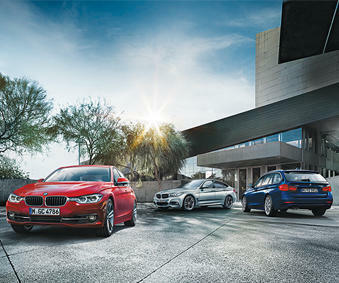 Budds’ BMW Oakville is proud to provide consistent, quality service for all our vehicles. In keeping with our high standards of design, quality and safety, our expert service technicians use only BMW original parts and accessories.